Solutions for every problem. 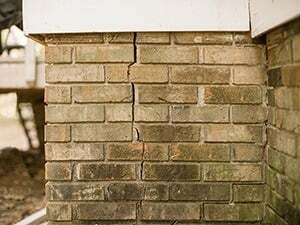 If your foundation is cracked, buckling, or has other damage, our experts can restore your home to safe, functional condition. No homeowner wants to deal with foundation repair, but foundation problems can affect your home's safety, appearance, and value. 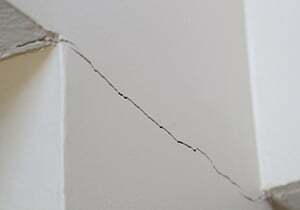 If you've seen issues such as floor cracks, bowing walls, or other foundation damage, Saber Foundation Repair can help. We will find the source of your problem and provide you with a quality concrete foundation repair solution. All of our patented foundation repair solutions are custom designed for your home. As a Supportworks dealer in California, we install exclusive foundation products that come with a warranty and are installed by our team of trained contractors. 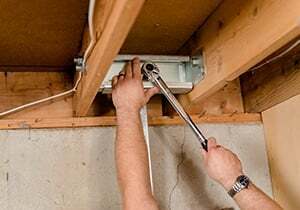 If you're ready to find a solution to your foundation issues, give us a call at 1-877-203-4601 or click below to schedule a professional inspection with one of our foundation repair experts. We offer free estimates to current homeowners on all our work in Los Angeles, Long Beach, San Diego and throughout the nearby areas. "Was so pleased with work. I asked for a sign saying who did the work.Crew..."
Was so pleased with work. I asked for a sign saying who did the work.Crew had one in the truck that they gave me. That I will be displaying in front of my house. And I always refer those who did did a good job to others. My last concern is for the crew they had good masks to cover there nose and mouth but area was so dust filled with aslo mice and other varmit droppings that I think they should have aslo had tight fitting safety glasees. "Kris Smith (especially so) and his crew are a significant asset to your..."
"The gentleman that came out was very profesional and did communicate..."
"The office person who took order and guys who came out to do the work were..."
"From the sales inspector Brent to the rest of the crew knew their stuff..."
From the sales inspector Brent to the rest of the crew knew their stuff and got the job done. I was very satisfied.The last crew man Nait was fantastic too. He was quick and did a great job. "Dan did the initial inspection and presented us with an estimate for the..."
"Holly is amazing, very helpful with any questions and requests that I had..."
"I have just begun to work with Saber and have found everyone to be prompt,..."
"Reinforce with your crew members to place their names on your "WOW..."
"Only criticism is I thought it would have been a smooth finish. I don't..."
Only criticism is I thought it would have been a smooth finish. I don't know if I misunderstood the sales rep or he misunderstood me but other than that good work. Every person I dealt with was professional and worked with our schedule. Thank you for being so accommodating. "I would highly recommend you to others." I would highly recommend you to others. "I need to extend my compliments to include Jacob too. Saber should be..."
I need to extend my compliments to include Jacob too. Saber should be extremely proud of these young guys and have represented your company very well! They are shining stars with bright futures! "So far everything seems ok, and I hope it stays that way. Than you for..."
So far everything seems ok, and I hope it stays that way. Than you for your service. "Experienced a few hair line cracks but I don't, at this time, feel they..."
Experienced a few hair line cracks but I don't, at this time, feel they will increase and become a problem later. Richard was very good explaining what he was doing etc. Very knowledgeable. Job well done. "Your company did an outstanding job. Your salesman and work crew were..."
Your company did an outstanding job. Your salesman and work crew were personable, RELIABLE, KNOWLEDGEABLE, hardworking and friendly. The clean up was perfect! Great work ethic! Keep up the great work! "Alvin and Dimitri were personable, very informative, caring, capable to do..."
Alvin and Dimitri were personable, very informative, caring, capable to do their job and a pleasure to have at our property. I'm sure they are the best crew. "All employees - sales, office staff, installers - are friendly and..."
All employees - sales, office staff, installers - are friendly and professional. Excellent customer service. Thank you. "The fellows that did the actual work did work very diligently. Seemingly..."
"Joe and his crew were hard working and courteous people. They performed..."
Joe and his crew were hard working and courteous people. They performed their job in a timely and professional manner. I am very impressed in how fast they got the job done in only three days. "Saber outstanding profesional, courteous and excellent customer relations..."
Saber outstanding profesional, courteous and excellent customer relations you can ask for anything better than that. "Would recommend to anyone with settlement problems." Would recommend to anyone with settlement problems. "You have a great company. Every person we met along the way were..."
"Crew #3 Project foreman Justin Wommack and crew, kept me informed every..."
Crew #3 Project foreman Justin Wommack and crew, kept me informed every step of the way during the repair process. Very Professional. "Nait and Rick were extremely courteous and professional, going beyond the..."
Nait and Rick were extremely courteous and professional, going beyond the call of duty to dispose of a lizard that had gotten stuck in the wet epoxy. "Joe and his crew member did a great job with the placement of the pier for..."
Joe and his crew member did a great job with the placement of the pier for the permit process. Explained everything, listened to my concerns, and everything went very smoothly, including cleanup. "More review to come once project has been completed." More review to come once project has been completed. "Trevor and his crew did a great job (score 5) taking care to listen to my..."
Trevor and his crew did a great job (score 5) taking care to listen to my input and to explain the steps they were taking as they proceeded along the way to reassure me. Except for the falling incident which really hurt and irritated me, I would have given them a score of 5. "Staff and technicians always very courteous and on time." Staff and technicians always very courteous and on time. "Totally satisfying experience, on time, good work, job was finished in a..."
Totally satisfying experience, on time, good work, job was finished in a timely manner! "Nait and Rick came to our house yesterday 11-17-14 and explained step by..."
Nait and Rick came to our house yesterday 11-17-14 and explained step by step everything that was going to take place. Afterwards they asked us if we had any questions. They did a thorough job and were very professional but yet approachable. The clean up job was complete. Nait and Rick swept up the excess debris while they were working. There is no concrete residue at all in our front or backyards. Very clean work. I would highly recommend to anyone this company and these two employees. We can help you restore foundation damage such as bowing walls, cracking floors, expansive soils, and all other types of problems. With foundation piers, wall anchors, crawl space jacks, and other products, we have the right solution to all types of foundation issues. Concerned about cost? 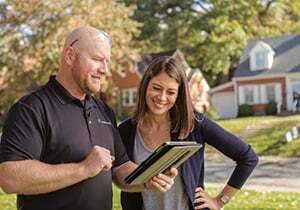 Our experts will help you understand everything your home needs and why, ensuring you get the right services and price. As part of the international Supportworks network, we provide unparalleled products and service. At an apartment complex in Agoura Hills, California, there were signs of severe settlement issues, causing large separation of joints. Saber was able to correct the issues using helical piers and PolyLEVEL™ the effects are amazing. 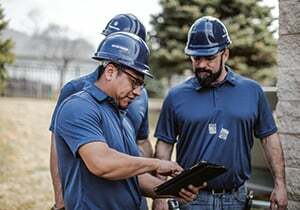 No two foundation problems are alike, which is why our professionals will carefully examine your foundation and develop a custom repair plan. We have unique solutions for bowing walls, foundation settlement, floor cracks, and all other types of foundation problems. All of the products we install are manufactured by Supportworks, Inc. Each foundation product is carefully designed and tested by a team of structural and geotechnical engineers, and all of our systems come with a written warranty, giving you complete peace of mind. You don't have to live with stressful foundation problems. Saber Foundation Repair is here to provide you with quality foundation repair services that will restore the integrity of your home. 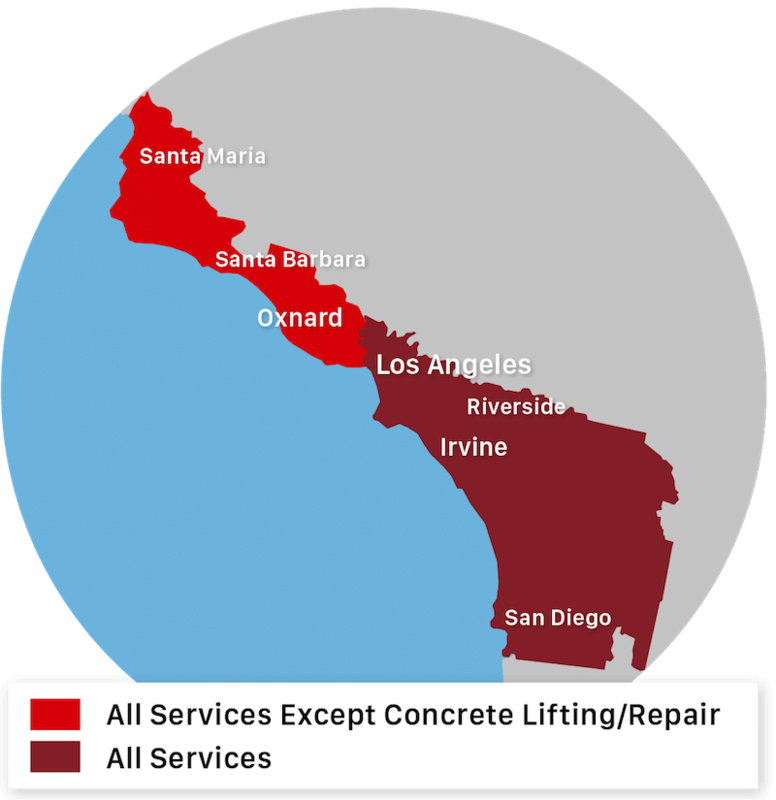 Contact us today to request your free foundation repair estimate in Los Angeles, Long Beach, San Diego, Santa Ana, Anaheim, Irvine, Glendale, Chula Vista, Huntington Beach, Oxnard and the nearby areas.